The National Assembly for Wales returns to the Royal Welsh Show in Builth Wells from 24 – 27 July with a new programme of events and the chance for the public to meet Assembly Members and staff and find out more about work our work. Based in the Green Pavilion, everyone is welcome to visit our stand to give your views and options on our work. Whether you’re familiar with our work or not, by the end of your visit to the Assembly stand you’ll have learnt something new about us and what we do. Enjoy a cuppa and learn about your Assembly Members, how they represent you and how you can get in touch with them to air your views and concerns. You can find out more about our current inquiries and upcoming work that may be of interest to you or your community. While parents put their feet up, children can take part in different games and activities around the stand to help them learn more about what we do. They will be able to find out about making laws and have a go at voting about the hobbies and activities that are important to them. There are also games to play and colouring in for younger visitors. We’re proud of our country. Our history, our culture, our heroes, our language, our land – our home. Most of all we’re proud to represent you, the people of Wales, and to make decisions and create laws that will shape the future of Welsh life. We want you to tell us what you love most about life in Wales and what makes you proud. Share your views with us on the stand or tell us on Twitter using #myWales. You don’t have to be a constitutional expert to have your say on constitutional issues. The Constitutional and Legislative Affairs Committee are looking at how Wales works with other parliaments and governments and want to hear from people and organisations who have experience of giving evidence at UK and Welsh levels and what barriers they may have faced. By asking these questions and hearing their experiences, the Committee would be able to recommend the best model of working for the future. What’s your vision for the future of food and drink in Wales and what needs to be done to achieve it? Members of the Climate Change, Environment and Rural Affairs Committee will be meeting with stallholders to launch and discuss their new inquiry into rethinking food in Wales. By meeting with food producers and exhibitors the Committee hopes to learn more about how Wales could create an innovative food industry sustaining high quality jobs, and become an internationally renowned destination for food lovers. 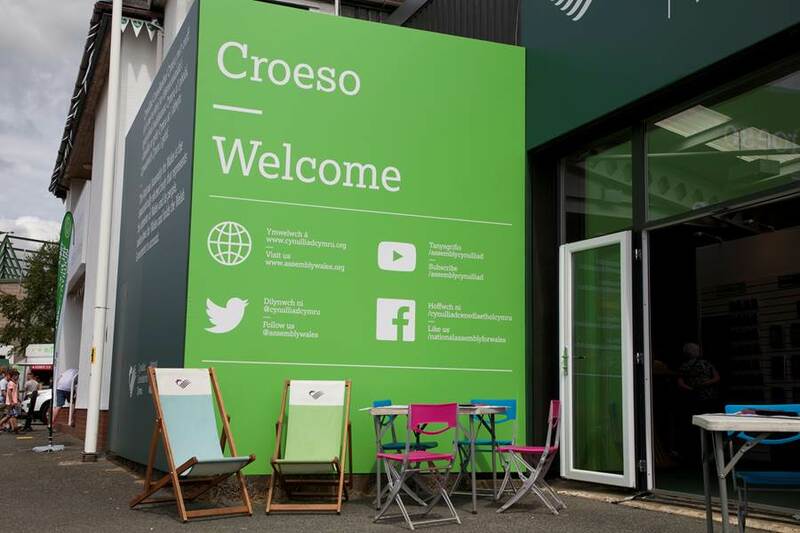 We’re looking forward to welcoming you at the Royal Welsh Show. Follow us on Facebook, Twitter and Instagram throughout the week for the latest Assembly news from the showground. Last week, the External Affairs and Additional Legislation Committee focused their attention on Agriculture and Fisheries and the implications for Wales following the UK’s decision to leave the EU. You can watch the full session on Senedd.TV. As part of the session, Members and invited experts discussed their views on the priority areas for agriculture and fisheries in the negotiations on the UK’s withdrawal from the EU, and the challenges post-withdrawal. You can follow the discussions on Twitter and Facebook using #BrexitinWales. To keep up to date on the work of the Committee follow @SeneddEAAL. Policies affecting Welsh farming and its food supply chain are determined largely by the EU through the Common Agricultural Policy (CAP), food safety and animal welfare legislation and also indirectly by the World Trade Organisation rules. The CAP is the EU’s mechanism for providing direct support to farmers, for protecting the countryside and for supporting the development of rural areas. The CAP runs for a seven-year period. Under the 2014 – 2020 round Wales receives around €322 million of funding each year in direct payments to farmers in addition to €355m million for its 2014 – 2020 rural development programme. The Welsh Government is directly responsible for implementing the CAP in Wales (and is required to comply with the various EU Regulations which set the legal framework for the policy). For farmers eligible for the CAP this means the Welsh Government manages the direct payments they receive. How would the UK withdraw from the CAP? Would it be phased in over time or stop immediately after the UK leaves? The Welsh agricultural sector is heavily dependent on the current subsidies it receives under the CAP to make a profit. This is particularly the case in upland livestock farms. The Chancellor’s announcement that the UK Government will honour current levels of direct payments to farmers until 2020 has been welcomed by the farming unions. However, some have called for clarity on how any fund distributed after withdrawal will be allocated to the Welsh Government and subsequently by the Welsh Government to Welsh farmers. Clarity on the levels and types of any funding available after 2020 has also been sought. This term the Environment and Sustainability Committee is busy with a number of inquiries and scrutiny work of proposed legislation underway. Here’s a snapshot of its work for this Autumn term. One of the key tasks faced by Assembly Committees each autumn is scrutiny of the Welsh Government’s draft budget for the financial year beginning the following April. The Committee has held a session with the Minister for Natural Resources and the Deputy Minister for Farming and Food. It will be publishing its view, in the form of a letter to the Finance Committee, on 6 November. The Committee is currently preparing to report on its inquiry into Recycling in Wales. This inquiry sought to look at current local authority household waste recycling practices and arrangements, including the information available to householders and how recycling rates can be improved. It covered all waste materials, including food and garden waste. A public consultation was held as part of the Inquiry to gather evidence between 9 May 2014 and 10 June 2014 and a fantastic response was received from people all ages and areas in Wales. Thank you to all who completed questionnaires and online surveys, shared pictures of recycling in your area, tweeted views on recycling in Wales or responded in a number of other ways. Your input and contribution to the Committee’s work is so important. To keep an eye on the latest developments for this inquiry please take a look at the Inquiry into Recycling Storify. The Committee is hoping to publish its report on this inquiry before Christmas. You can also view the YouTube playlist for the Inquiry here. This term, the Committee faces a heavy load of legislation, with two Bills to consider – the Well-being of Future Generations (Wales) Bill and the Planning (Wales) Bill. The Committee is nearing the end of the first stage of its scrutiny of the Well-being of Future Generations (Wales) Bill. The purpose of the Bill is s to put sustainable development at the heart of government and public bodies, with the aim of ensuring that current needs are met without compromising the needs of future generations . It sets 6 national goals to improve the well-being of people in Wales of by tackling generational challenges such as climate change, poverty, and health inequalities. The Committee has completed gathering evidence on this Bill, having heard from a range of stakeholders and the Minister for Natural Resources, Carl Sargeant AM. The Committee is currently in the process of drafting the report on its Stage 1 consideration of the Bill. , Updates will be available on the Committee’s web page. Recently the Committee began its consideration of general principles (also known as Scrutiny Stage 1) of the Planning (Wales) Bill. This Government Bill was introduced by the Minister for Natural Resources, Carl Sargeant AM, following work by the Welsh Government into how planning processes can be improved in Wales. Consideration of the Bill is now underway by the Committee to assess if it should become law, and to ensure that it reaches the highest standards if it does. A consultation on this Bill opened on 10 October and interested people and organisations will need to submit their responses by 7 November. Please note that this Bill does not deal with any individual planning cases or approaches to any one type of planning, but with the processes involved. Following this consultation the Committee will invite individuals and organisations to give evidence during meetings of the Environment and Sustainability Committee before compiling a report and making any recommendations it may wish to make in order to improve the Bill. If you’d like to share your views on the processes by which planning decisions are made, and how you think this could be improved, please respond to this consultation by Friday 7 November 2014: public consultation on the Planning (Wales) Bill. A presentation on the lessons for Wales from the German Energiewende. The organic farming inquiry is examining the potential impacts new proposals by the European Commission on organic products could have for Wales. The session on animal welfare will cover issues such as control of dogs legislation, non-stun slaughter of animals; animals in circuses and the regulation of animal sanctuaries. Continuing with the inquiry it began last summer, the Committee is hearing from energy companies in relation to Fuel Poverty and Energy Efficiency. The Committee is also taking a presentation on the potential lessons for Wales from the German experience of developing community energy. If you’d like to book a seat to view any Committee meeting, contact the Booking Team on 0845 010 5500 / 01492 523 200 or assembly.bookings@wales.gov.uk . You can also view the Committee through the Assembly’s broadcasting channel Senedd.tv. If you’d like to keep up to date with this Committee’s work, why not follow its progress on its Twitter feed? Follow @SeneddEnv for all the latest information. Now that the annual summer events at the National Assembly for Wales have come to an end, what better time to reflect on my experience at this year’s Royal Welsh Show in Builth Wells. It was the first time I’ve been to the Royal Welsh, and the weather was beautiful. It was very warm with temperatures rising into the mid-twenties the entire time we were there, so drinking plenty of water was a must. It was HOT! Being part of the communications team, I remember discussing the event in early spring to arrange who would be travelling to the show and how we could promote our attendance on social media. I volunteered to travel with my colleagues to Builth Wells. I was still in primary school when I lasted visited the showground when Adam Ant and the Human League were riding high in the charts! Yep, that’s how long ago it was. We ensured all literature, chairs, tables and refreshments were to hand for the opening day. We were anticipating taking photographs of visiting Assembly Members and Ministers during the event; however, nothing could have prepared us for the first photo. Monday morning and we had just opened the doors of the stand to the public. My colleague Rhian called over to me to urgently grab the camera and run outside. I duly ran outside and sure enough Prime Minister David Cameron, with the newly appointed Secretary of State for Wales Stephen Crabbe, was passing our doorway. I briskly walked ahead to gain a ‘head-on’ image. I was rather nervous as the Prime Minister’s security had clearly taking an interest in me. Thankfully I was wearing a fully branded National Assembly for Wales t-shirt with an official pass. I managed to capture a photo of the Prime Minister and it was only after reviewing the images that I realised he had looked straight into the camera. We tweeted the image on our @AssemblyWales Twitter account, and I believe we were the first organisation or individual to do so. As you may know he is the first serving Prime Minister to visit the Royal Show. History in the making! My only regret was not inviting him onto the Assembly stand and this is something I really wish I had done. After returning to the Assembly stand, I spoke with the former Mayor of Neath Port Talbot, Marian Lewis, at some length about the proposed closure of Junction 41 of the M4, the new Swansea University campus on Fabian Way and the film studios that are located at the old Ford/Visteon factory. It was an insightful conversation and I learned a lot in such a small space of time about some of the ongoing issues in that region. Throughout Monday and Tuesday several Assembly Members visited the Assembly stand and it was a great opportunity to discuss promoting the work of the Assembly on social media. I took the opportunity to capture a photo of all visiting AMs holding their constituency map cards and we later posted these images on social media. 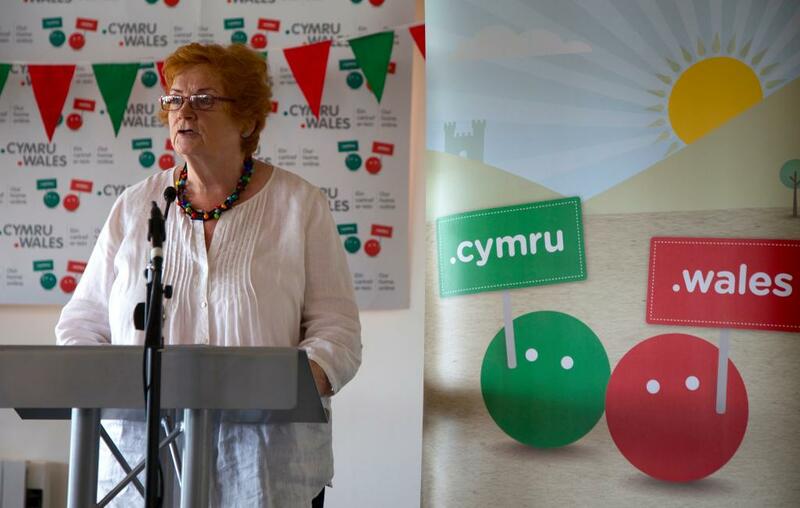 On my last day at the Royal Welsh Show, the Assembly, in partnership with Nominet, held an event to raise the profile of the upcoming (.Wales and .Cymru) web domain names. The Assembly will be a founder user of (.Wales) and is very proud to be using this new profile. The event was held at the S4C building at the Main Ring and I used this opportunity to take some photos of our Presiding Officer Dame Rosemary Butler speak about the upcoming launch. It was a great event with people from all around Wales attending the function. Ieuan Evans was the host and he spoke passionately about being Welsh and what it meant to him. For more information about the .Wales and .Cymru launch, please click here. The Royal Welsh Show upheld its reputation as the biggest and best-attended event of its kind in Britain. I am already looking forward to attending next year’s event and will ensure our social media coverage will be bigger and more varied than ever before. Julian Price is the Social Media Manager at the National Assembly for Wales. He has managed the increase in our online activity over the last twelve months, using social media to promote the work of the Assembly. The Royal Welsh Show is a great example of online and offline collaboration between teams to promote our presence at an event.